Your Honolulu emergency plumber at Emergency Plumbing & Solar doesn’t mind fixing your mistakes, cleaning up your messes, or unclogging your clogs—that’s just a part of the job. But there are certain things that grind the proverbial gears of plumbers across the world—things that make our jobs and your lives more difficult. 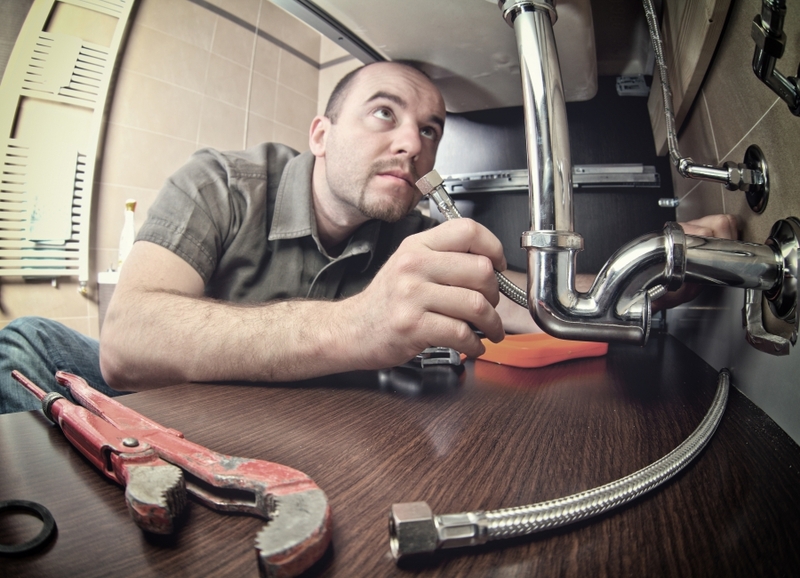 In this blog, we’ll give you a list of a few things that make your plumbers cringe. It’s not just that these plumber pet peeves cause us frustration—they can actually do a great deal of damage to your home. We get it—there’s something oddly satisfying about incinerating a nasty clog with powerful chemicals. Unfortunately, these chemicals (like the ones in Drano and similar products) can do a great deal of damage to your pipes, and create environmental hazards for animals and plant life down the line. Using a fire extinguisher is one way to put out a fire, but the best way to put out a fire is to not start one in the first place. To avoid the need for Drano, avoid a clogged drain altogether—that means using a stopper to keep hair and gunk from entering your plumbing system. You flush EVERYTHING down the toilet. Tampons, baby wipes, makeup remover pads, cat litter—if you can think of it, somebody flushes it down the toilet regularly. Unfortunately, items like this—even the ones that are labeled as “flushable”—can clog your toilet drain and cause problems for your plumber. If you’re the one throwing anything but toilet paper and “the goods” down the toilet… SHAME. There are perfectly sturdy garbage cans that will take care of all of your paper products without wreaking havoc on your plumbing system. You throw EVERYTHING down your garbage disposal. There’s a time and place for everything. But it’s not the time to place potato peels, bacon grease, pasta, chicken bones, or coffee grounds down your garbage disposal. Your garbage disposal is an amazing invention, but it’s not invincible—throwing too many scraps of harder, stickier food items down your disposal can jam and overheat your system. If you call a plumber about a jammed or clogged garbage disposal, you can bet they’re going to lecture you about proper garbage disposal practices. Good thing you read this blog and all the hassle can be avoided… right? While we’d all love nothing more than to have a perpetually clean toilet, those toilet tank pucks that “freshen” your toilet can actually do more harm than good. These pucks contain chemicals that can wear out the inner components of your toilet and prevent flushing altogether. The best way to clean a toilet? You guessed it—toilet cleaner and some good ol’ elbow grease. You don’t know where the main water valve is. Would you rather (a) call your plumber about a leaky dishwasher or (b) call your plumber about a foot-high flood in your basement? The latter probably could’ve been avoided if it didn’t take you 20 minutes to find out where your water shutoff valve is. Sometimes, preventing extensive, house-wide water damage is as simple as turning off your water before before things get out of control. Learn where your main water valve is, and tell your whole family about it—this can help you prevent flooding disasters, even when the kids are the only ones at home. Good effort, DIY Dad. You tried to fix a complex plumbing problem—and the effort and determination were clearly there—but you only made things worse in the end. Leave things to the professionals—call Emergency Plumbing & Solar for your next plumbing problem! Things Your Plumber Wishes You Would Stop Doing Overall rating: 5 out of 5 based on 10 reviews.